See 17 for PATIENT COUNSELING INFORMATION, FDA-approved patient labeling, FDA-approved patient labeling and FDA-approved patient labeling. EHold OptiClik ® with the needle pointing up. BRemove the needle after the injection. For safe disposal of needles see (A.) GENERAL NOTES, Needles for OptiClik ® on the back of this leaflet. Always replace Pen Cap on the Pen Body after use. a)The Dosage Knob has been forced into the negative range and was pushed in. The Cartridge System might be damaged and needs to be replaced. Repeat Step 7 for replacing an empty Cartridge System and dispose of the damaged Cartridge System. Repeat Step 1 for inserting the Cartridge System, Step 2 for attaching the needle, and Step 3 for Safety Test.b)The Dosage Knob has been turned too quickly. 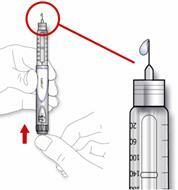 You can choose to do one of the following: 1)Dispose of the unknown pre-set dose by pressing the Dosage Knob. 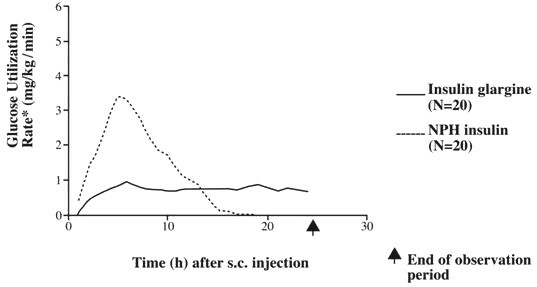 Set your dose (Step 4) and inject your dose (Step 5). OR 2)Turn the Dosage Knob slowly backward (to the left) until it stops, and then push the Dosage Knob in. Restart OptiClik ® and dial your dose. 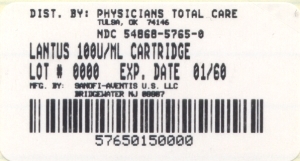 A.Check the label on your SoloStar ® to make sure you have the correct insulin. 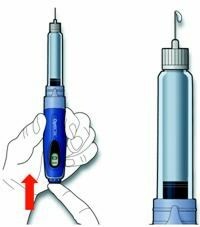 The Lantus ® SoloStar ® is grey with a purple injection button.B.Take off the pen cap.C.Check the appearance of your insulin. 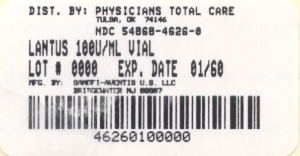 Lantus ® is a clear insulin. 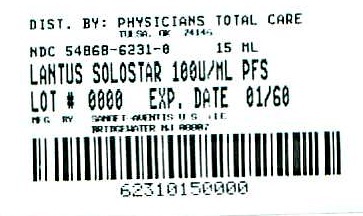 Do not use this SoloStar ® if the insulin is cloudy, colored or has particles.